You can't imagine the world without beautiful things, especially in current times, when there are lots of companies, producing various products: wrist watches, different accessories, and caskets and safes for keeping them, etc. One of such companies is Agresti, founded in the very heart of Florence in 1949. The brand was founded by Pia and Oswaldo Agresti, who became the successors of the famous Florentine experts' traditions. The brand has been producing different handcrafted pieces since its creation till present day. Agresti company's wide assortment includes such products, as jewelery caskets, watch caskets, luxe-class cabinets for jewelery, watches, pens, table games, safes, closets for watches with automatic self-rewind keeping. The company uses precious and rare materials in cooperation with original designer ideas, enabling it not only to stay one of the leaders among such pieces producers, but also to keep the position. Agresti brand's products are unique, thanks to their luxurious image, functionality, letting you keep different precious pieces in one box. The safes, “hidden” in luxurious furniture and complicated Swiss watch movements, letting you perform watches' automatic rewind are rather original. Agresti company's collections are constantly renewed by new models. They include men's and women's caskets and cabinets for jewelery, different boxes, made for watches, pens, games, cigars, etc. keeping. All the brand's accessories are galvanized with 24-carat gold, ruthenium, palladium, nickel. The following species of wood are used for the pieces' production: elm tree wart, palisander, maple, zebrawood, African species of wood, each having its own history, peculiarities, considered in different pieces' production. For example, wart is a kind of wood, that has nodes on its body. It's notable, that all wart trees have these nodes, used for different pieces production, thanks to some peculiarities. And not all nodes can be used, it's necessary to clean the used part and to take only healthy wood. The brand uses mostly elm tree wart, but there are also other: light, dark, etc. Agresty company's products are characterized with superior quality, sustainability, inimitable style and functionality. These process of these pieces and different accessories' production is executed with the help of new equipment and handcrafting, during which every detail is meticulously finished. Every piece, that comes out of the best experts' skillful hands and the newest machine-tools, undergoes careful inspection. Only after the inspection and in case of correspondence with the highest quality standards they can be seen in the market. The brand presents its unique products annually at worldwide exhibitions: BaselWorld, GTE and others. Many people, who have bought these pieces, have made sure of Agresti products' durability and sustainability. 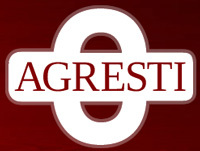 You can buy the Florentine Agresti brand's unique products at showrooms in different countries of the worlds or ordering them at the company's official website.